Wide selection of Katie Loxton’s beautiful baby and travel accessories, scarves, jewellery boxes and bags are all available from Lizzielane with Free UK Delivery. 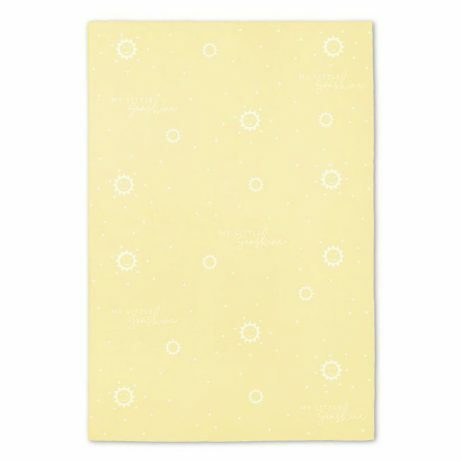 Katie Loxton, New Baby Gifts, New Arrivals. 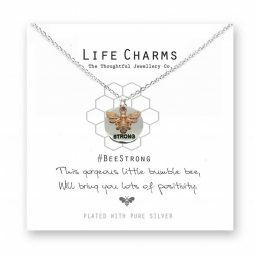 Life Charms Bee Strong Silver Necklace with rose gold bumble bee. 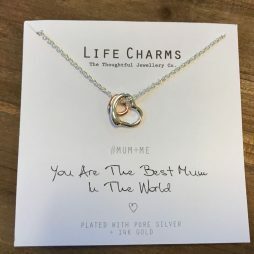 Bee Strong – This cute rose gold plated bumble bee charm hangs with a silver plated disc with the word ‘strong’ inscribed, on a dainty curb silver chain necklace. The words on the presentation card read ‘This gorgeous little bumble bee, Will bring you lots of positivity.’ And there is room on the back of the presentation card for your message. 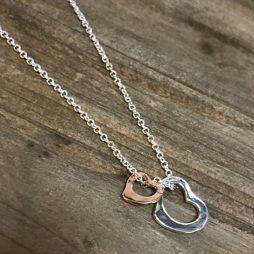 This beautiful bracelet is carefully threaded with tricoloured beads and finished with an adjustable chain and heart charm.